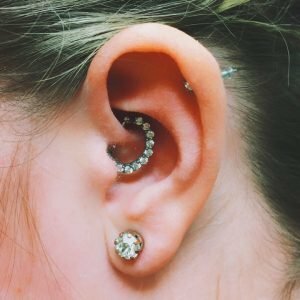 The Daith reigns as one of the most popular piercings at our locations, so we want to provide you with an array of new jewelry to choose from for that piercing. 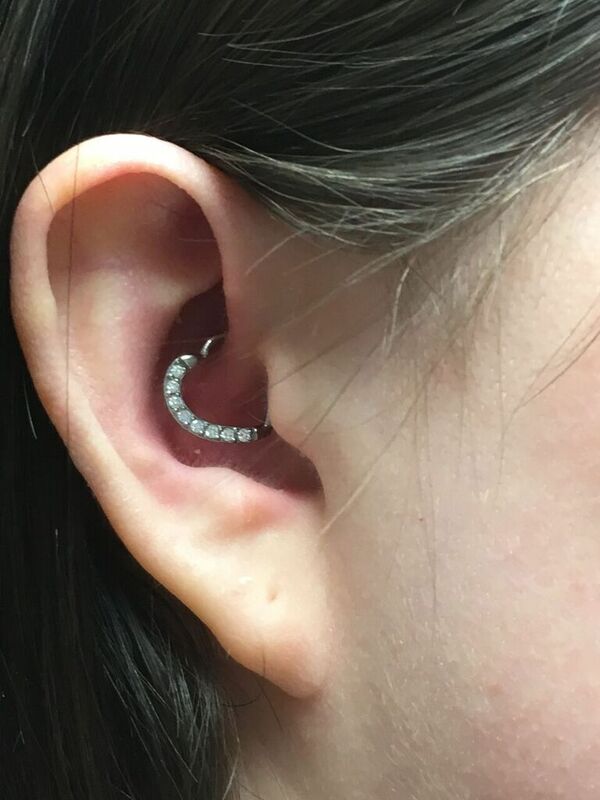 We recently got in an assortment of Daith Hearts. These have been a popular option for customers and AFBP employees alike. They are available in steel, yellow gold plate, and rose gold plate. You can also get them with gems or opals. There is a Left or Right ear option so no matter which you choose, it will fit your piercing perfect. 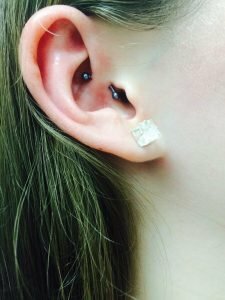 Clickers have always been one of the most popular options for healed Daith Piercings. Partially because they are so easy to change on your own, and also because they can be very intricate with a multitude of options to choose form. Whether you’re into opals, gems, solid colored titanium, or stones such as Turquoise or Tigers Eye, there is a clicker with your name on it. The ever-popular hoop. They’re versatile and look great in any piercing. We have segment rings, hinge rings, and captive bead rings. Hoops come in different colored titanium, rose gold plate, and yellow gold plate, and you can customize the captive hoops with gem or opal captive beads. 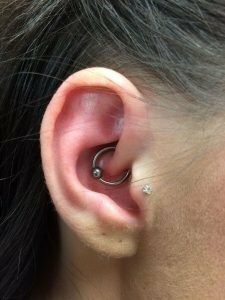 Curved Barbells are a good choice if you are getting a new Daith Piercing but want your healing piercing to be a bit more inconspicuous. They are also great in the event that you have to hide your piercing for work or sports. It looks exactly how it sounds so they only part of the jewelry that you really notice are the beads. For any new piercing or jewelry change out, Almost Famous Body Piercing can help. Give us a call or stop in to any of our six locations to talk with a Body Piercing Professional. Why Doesn’t My New Piercing Look Exactly Like The Picture?